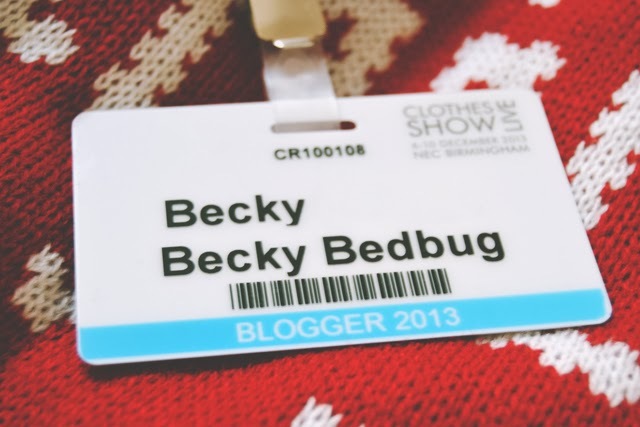 On Sunday, I was very lucky to be invited to Clothes Show Live as a guest of Echo Falls*. Before the event, Echo Falls kindly offered two tickets as a giveaway and, to my surprise, Leona won them. Unfortunately, she couldn't make it so she donated the tickets to Beth, who had also entered, so I had a friend to go with. Yay! 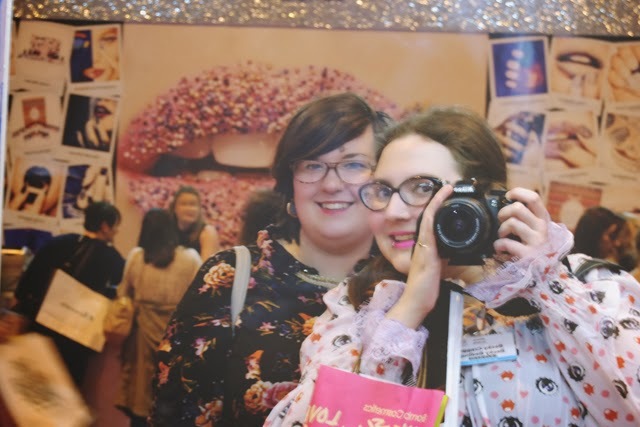 When I arrived at the ginormous Birmingham NEC (coincidentally bumping into the lovely Tattooed Tea Lady en route- Very strange moment! ), I spent almost an hour trying to find Beth. Eventually, we located each other and picked up my awesome badge (I love a fancy official-looking name badge!). 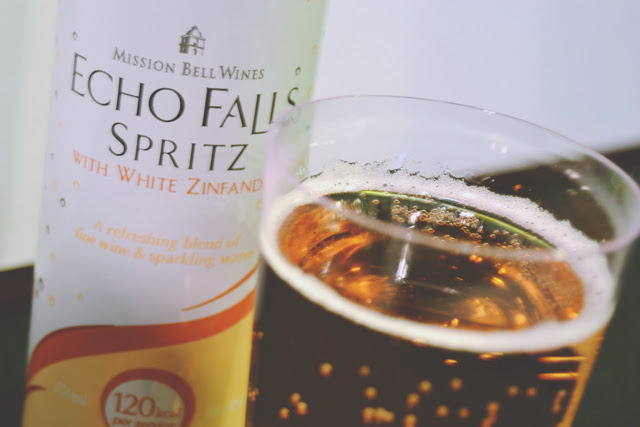 Then it was time to head off to the Echo Falls Wine Bar. It was decked out with comfy sofas which were arranged in groups that allowed anywhere between 2 or 10 people to sit together. Very handy- None of this awkward shuffling tables and chairs around to fit a large group in. 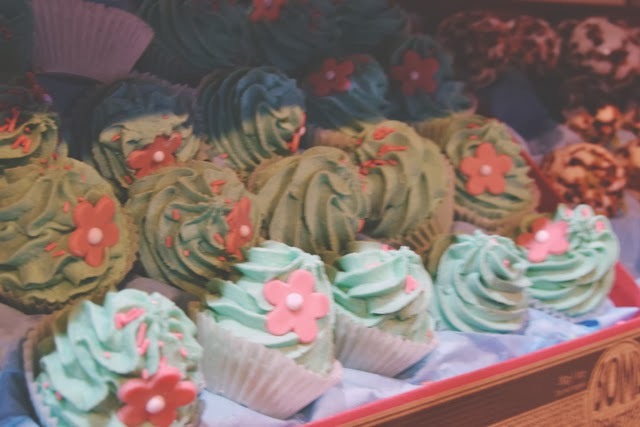 The staff were helpful and efficient so, although it was busy, nobody had to wait for long and the tables were kept tidy. It was a great place to relax and chill out to rest after (or during, or before) a hard day's shopping. There, we met the very lovely Louise, who was my contact for the event, with Poppy Dinsey of WIWT. We arrived at the perfect time as it was just before Poppy hosted the fashion panel with MTV host Becca Dudley, fashion pro Caryn Franklin and stylist Karl Willet. 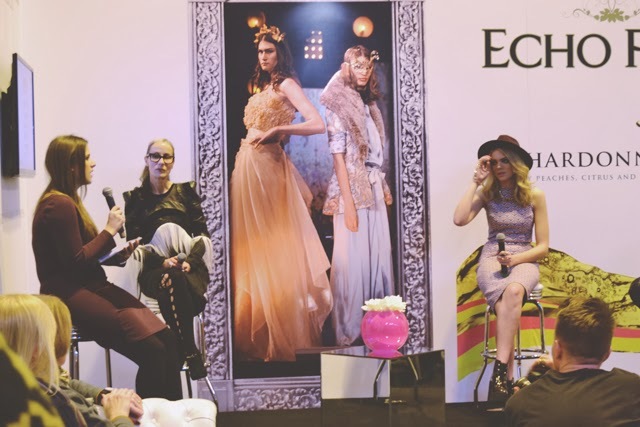 The panel had some really interesting comments to share on the fashion industry, especially when talking about the stereotypical, Devil Wears Prada cut-throat image. 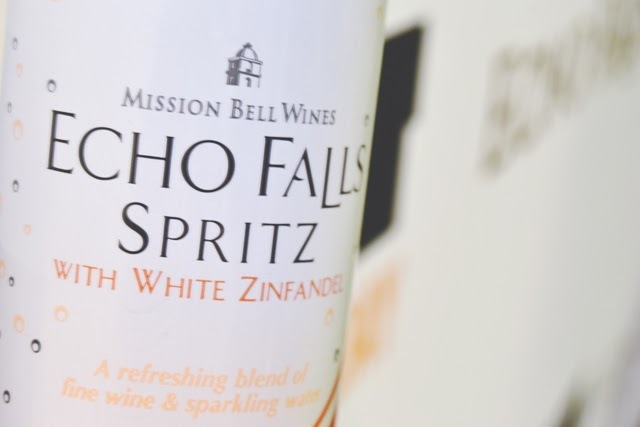 Whilst watching the panel, I was offered an Echo Falls Spritz with White Zinfandel which was lovely! Really sweet and fruity, with summer berry flavours and a nice bit of fizz. It was a very light drink, both in terms of alcohol and calorie content. Plus, it came in a really cute little can! I'm a sucker for pretty packaging! After a little bit of chatter, we headed off to explore the gargantuan hall. First stop: The Beauty Hall! 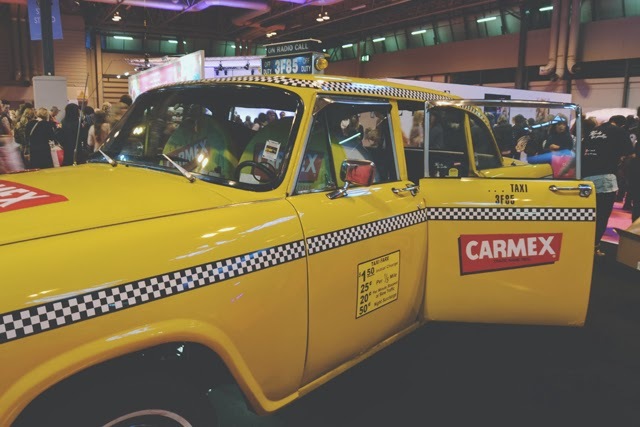 I loved this Carmex taxi cab! We discovered a stall run by a brand called Bomb Cosmetics which sold the most beautiful little bath products. It smelled so good and they had a great offer on- 3 bath blasters for £5. I came away with 6. Money well spent! Then we headed to Vision Village where we saw this AMAZING Benefit Citroen. 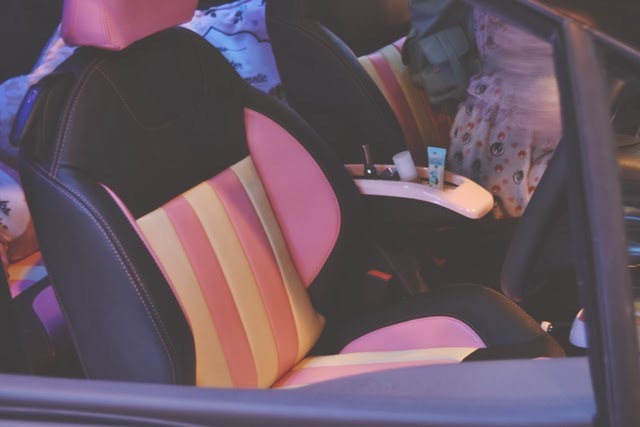 It was adorned with a Benefit-inspired design, equipped with Benefit make up in the armrest, a magnifying mirror attached to the dashboard and even a fragrance stick dispensing a Lee Lee scent, it's my dream car! Look at the candy-striped seats! In the backseat, you can just about see the Benefit cushions too. I might have tried to drive it away. 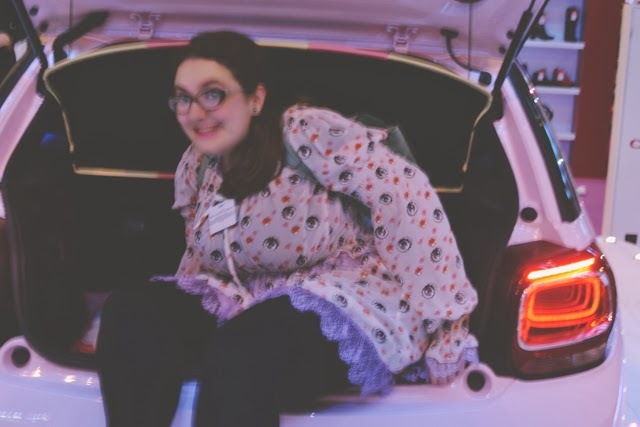 It also had a lovely spacious boot! I tried to curl up inside it but the lady manning the car kept wandering towards the back! I think she was alerted to my mischief from my cheeky giggling. 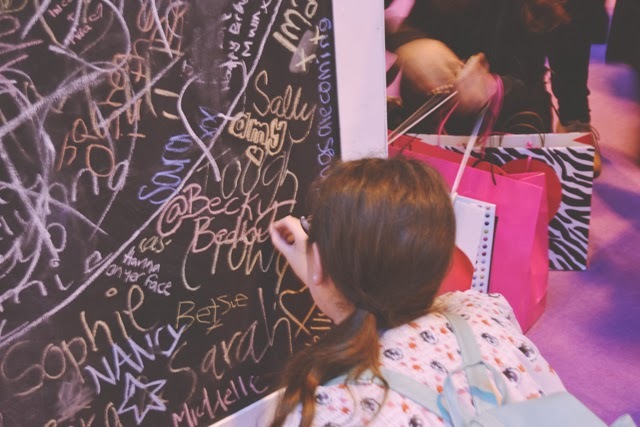 At the David and Goliath stall, there was this massive chalkboard. So much fun! I don't get to use chalkboards. Disappointing- Teaching has been mis-sold to me! 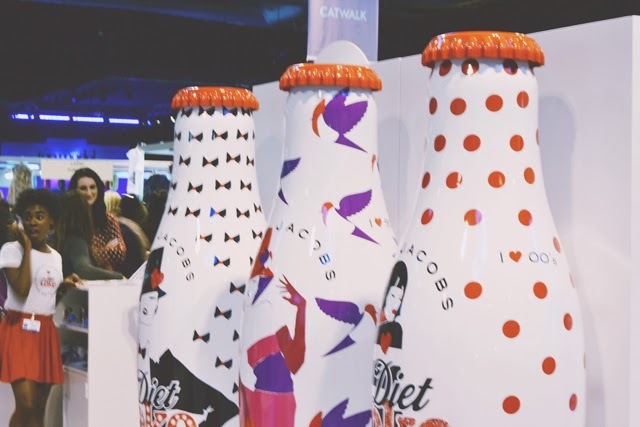 Huge Diet Coke bottles to celebrate Marc Jacobs' anniversary. 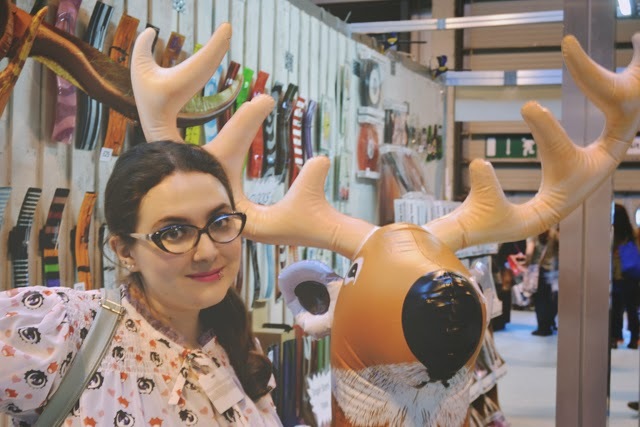 My new friend, the inflatable reindeer! He was only £35. I have to admit, I'm regretting not taking him home! After chilling out reading the Closer magazine that Beth was given in her Models Own bag, we headed to the Fashion Theatre. We had some great seats! Kingsland Road were there to sing a rendition of Blame It On The Boogie. 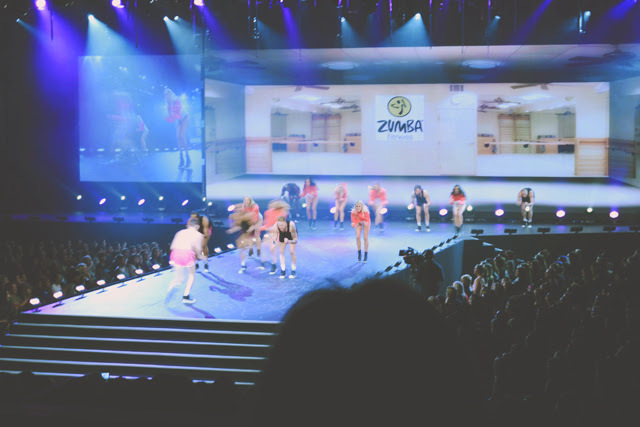 They were great- Very entertaining, very talented and I loved the dance routine. 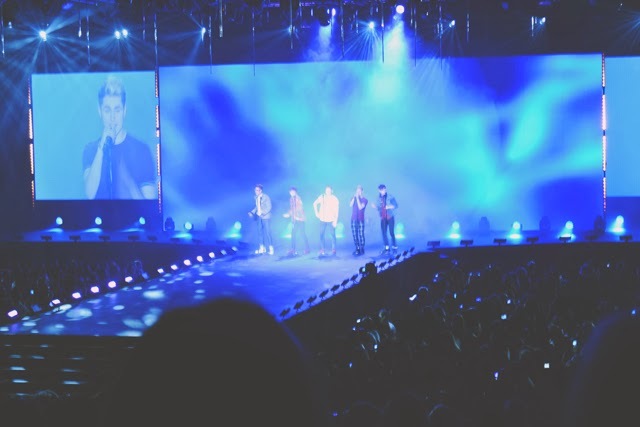 I'm happy to see a routine to choreographed boyband dances but, luckily, this wasn't along the cheesy Take That lines! I still like "The Wiggly One on the End" the best. 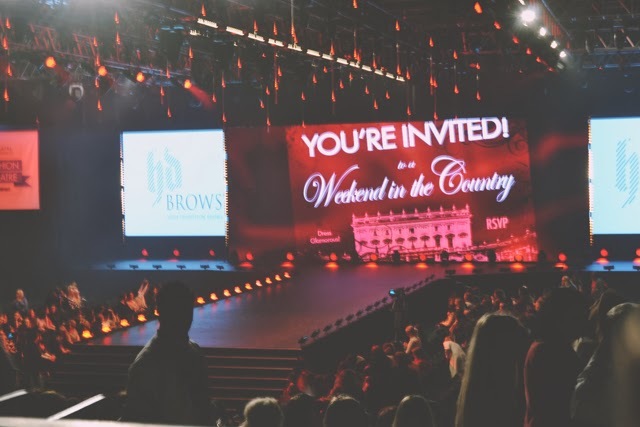 As well as the amazing fashion on show, worn by gorgeous models including by Britain's Next Top Model winner Jade Thomspon, there were inserts of both hilarious, high-impact and ethereal interpretive dance performances. After the show had ended, it was time to head home with my goodies. I was pretty good and, I think, managed to restrain myself very well! I bought the 6 Bomb Cosmetics bath blasters that I mentioned earlier, a set of five pastel-coloured Popbands and the amazing Home Alone-inspired Christmas jumper that I've wanted since last year. Beth also donated her Models Own lipbalm to me. Yay! I had an absolutely wonderful day! It was so much fun and a really exciting day for a clothes addict like myself! 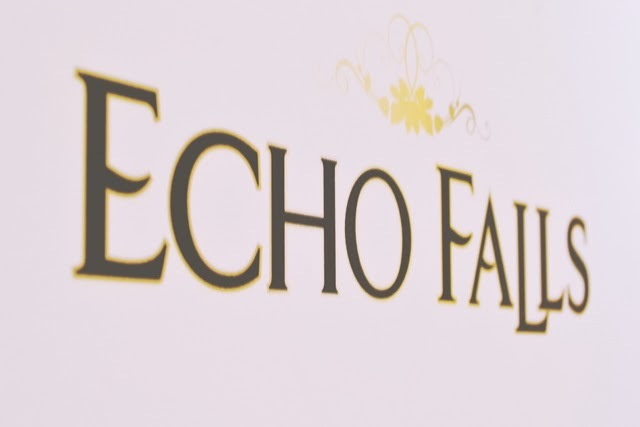 Thank you so much, Echo Falls! Aaw, what a shame we didn't bump into each other! Oh this looks like a really nice thing to go to. 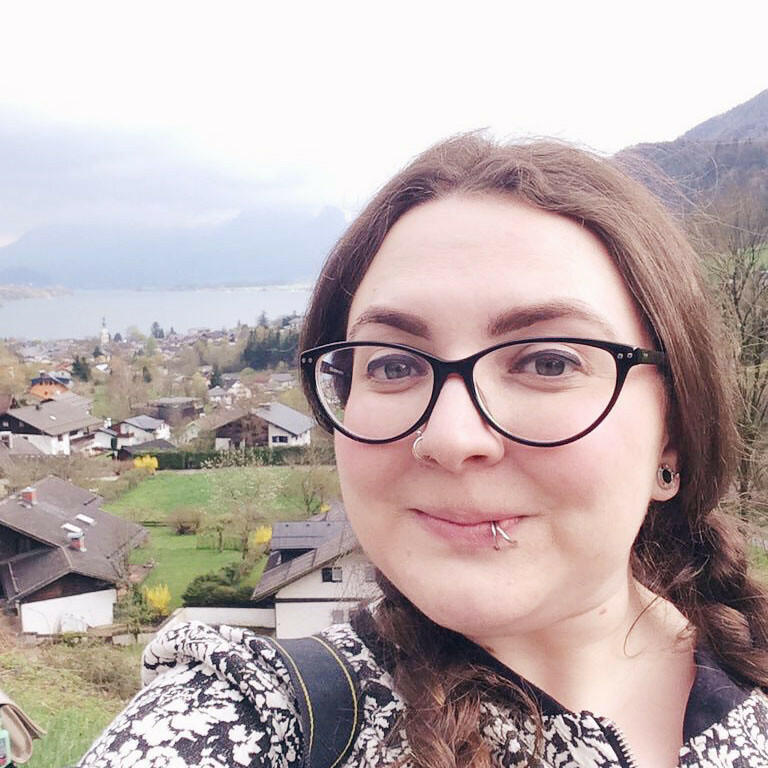 Blogging really opens up a lot of doors, I wouldn't even have know this existed if it wasn't for bloggers! One of the many great things about blogging! 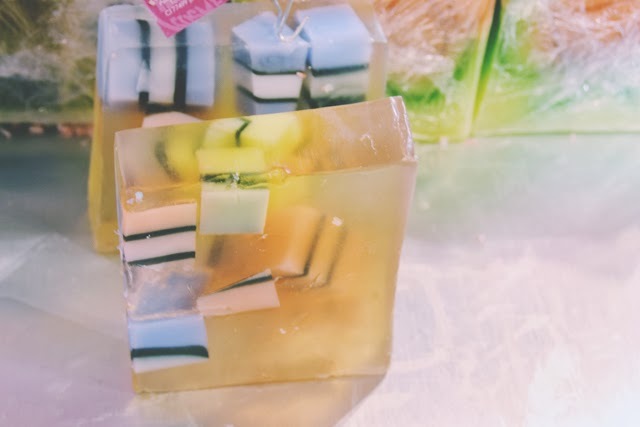 That looked like so much fan...I don't think I would ever leave the place with fancy soaps...I can never stop smelling them :) I love your glassses by the way! so chic! Why did I never comment on this when it went up? I loved this day! I still think we should have driven away in the Benefit car, I would love driving to work in it every morning, it'd be like oooh here's my handy blusher, and my handy perfume, no need to worry about putting my face on before I leave the house, it's all in my car after all! Yeah, I live in daydream land. Reading this has made me want to go again next year now, I wasn't feeling that before.